Frelan Hardware and Jedo Brand Hardware offer an up to the minute range of Door Furniture and Ironmongery. The quality fittings are available in stylish finishes and patterns - from Traditional Pattern Levers on back plate and Black Antique fittings to the latest designs in modern Round-Rose and Square-Rose Levers. To complement this range we offer quality hinges, latches and locks to complete the project. 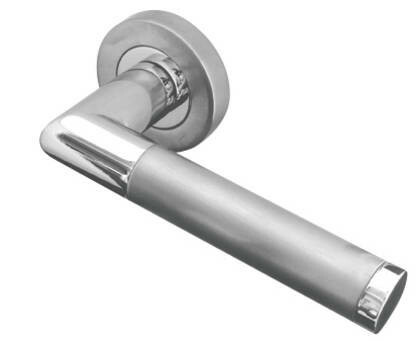 Frelan Mitred Twin-Finish Lever, Alexander Lever & Olivia Lever are all available for only £9.50 (+vat) each.